CopperBox is an outstanding band out of Oshkosh. They won the 2009 WAMI “Americana” category (which means “hard to classify”). They tag themselves as zydeco/rock/polka but that doesn’t cover it all. Their polka version of Comfortably Numb by Pink Floyd is just one example of how eclectic they are. They also do cumbia, jigs, ballads, etc. Some of their best tunes are ones they wrote, but they do some great covers, ranging from Moondance to Tell Me That You Love Me (to give you some idea of their range). 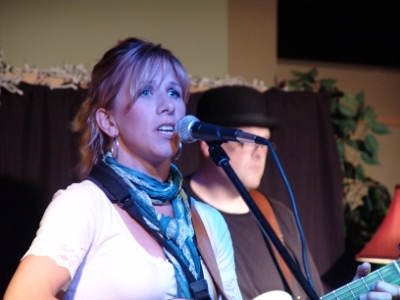 Their latest CD, In the Summertime, was released on July 8th, 2009, and channels the rowdy communal feel of a small town party with a groovy rhythm section and soulful accordion. 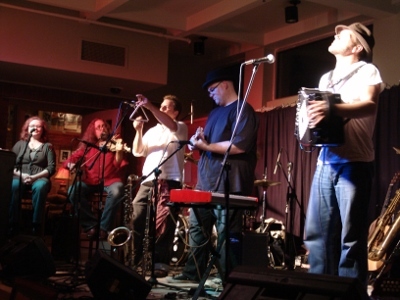 CopperBox has a fun-fusion sound (Zydeco, rock, and jazz) that attracts a unique and diverse audience. Touring aggressively and playing 120+ shows a year, they have appeared on several TV shows, as well as The Early Show on CBS and countless radio stations (college & community) in the US. Garageband.com has selected many CopperBox songs in their Top 10, and their energetic live shows won them a Hi-Def Music Video sponsored by SONY in 2005.